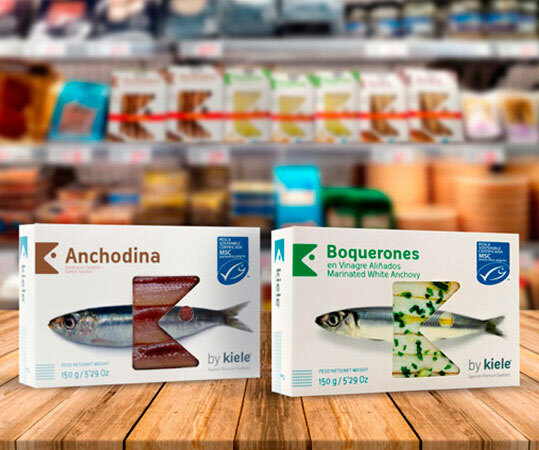 At Kiele we only use fresh fish of the highest quality. 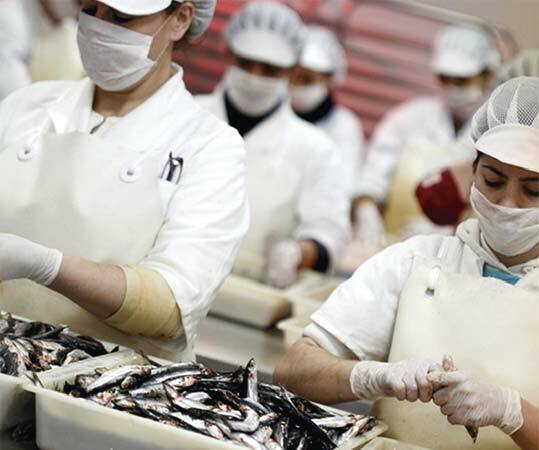 We buy our fish at Spanish fish markets and prepare it using artisanal techniques. We cut and clean each fish piece by piece, taking great care to preserve the most important organoleptic properties in as natural a way as possible. This ensures optimum flavour at the point of consumption. Our clients and distributors are the main focus of our day-to-day activities. This is why we offer a personal and direct service, working together to ensure our products reach your table in fresh and healthy condition – and with the outstanding quality that defines our brand. This approach means we can improve the prices we offer our consumers without affecting quality. This philosophy has enabled our company to grow slowly but surely, to the point where our products are now widely available on the domestic market. Our products are available on the shelves of major supermarkets and department stores that are committed to the value of our brand. We have consolidated our position as a premium brand that offers one of the best price-quality ratios.